Drake is really killing Meek Mill at OVO Fest on Monday night, and it looks like this could be the dagger. 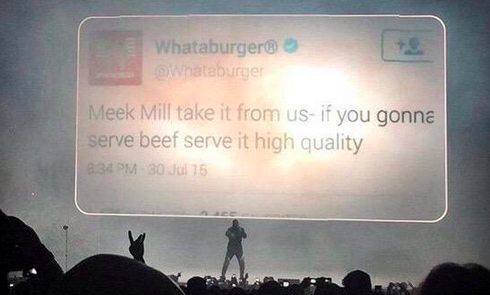 Drizzy posted memes of the MMG rapper during his performance of "Charged Up." It's only a matter of time until he makes a final song for the 3Peat. We'll see.